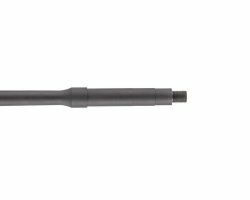 Cold Hammer Forging of barrels has been known for decades to produce the most accurate, longest lasting rifle barrels obtainable. The Cold Hammer Forging of barrels is accomplished through intense hydraulic pressure applied at opposing angles by carbide steel hammers. 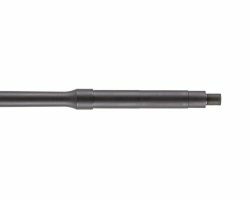 During the hammering process, a mandrel is inserted into the bore while the carbide steel hammers shape the barrel around the mandrel creating the chamber, the lands, and the grooves. In addition to the aforementioned benefits, the Cold Hammer Forging process creates a defect free bore and the most consistent chamber possible.